The IP Pro Bono scheme, launched by Sean Dennehey, Acting Chief Executive of the Intellectual Property Office, has been designed to help small businesses and individuals involved in disputes about intellectual property such as a patent, trade mark, protected design or copyright. IP Pro Bono is a collaboration between a number of leading IP organisations including the Chartered Institute of Patent Attorneys (CIPA), the professional body for patent attorneys in the United Kingdom – which manages the scheme, the Institute of Trade Mark Attorneys (ITMA), the International Property Lawyers’ Association (IPLA) and The Law Society. The scheme was set up in response to a challenge set by His Honour Judge Hacon, presiding judge of London’s Intellectual Property Enterprise Court, for IP legal services providers to offer advice and support to unrepresented claimants and defendants in IP disputes. The service is available to those who cannot reasonably afford to pay for professional advice from a firm. A case officer will assess applications and, if the applicant meets the stated criteria, allocate the case to one of the participating firms on a rota basis. At the event, HH Judge Hacon highlighted the difficulties faced by the Court when cases involve unrepresented individuals, and he welcomed this scheme to provide advice. Although the scheme is probably particularly well suited to the Intellectual Property Enterprise Court (and its small claims track), it is not limited to that and may be appropriate for cases in the High Court as well. Moreover, Mandy Haberman (famed, among other things, as the inventor of the Anywayup Cup, and now also a Director of the Intellectual Property Awareness Network) spoke movingly about the plight of the small enterprise faced with infringement at an early stage of their business - are you prepared to bet your entire livelihood on success in court? It was stressed that the placing of the case officer between the person seeking assistance and the professional advisor would ensure that the advisor was not left solely responsible for the person, and so, it is hoped, the scheme will be attractive for volunteer IP professionals. It was also noted that we should probably stop using the phrase "pro bono" which is generally little understood outside legal circles, and say something like "at no cost", or even "free" instead. 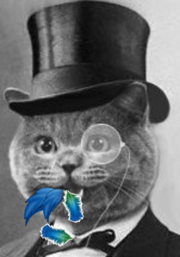 So, says the IPKat, if you are an IP professional in the UK, please consider offering your services.